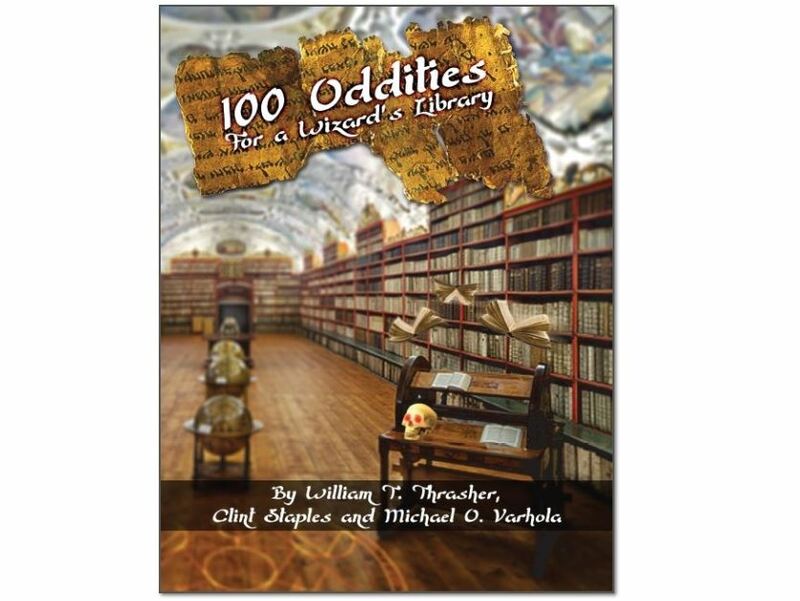 Skirmisher Publishing has released their next "100 Oddities" pack. This time it's 100 Oddities for a Wizard's Library. Got an adventure group going to see a famous wizard, or trying to infiltrate the wizard's tower of a Lich, or are you an enterprising wizard who needs to populate their tower? This book is for you. Welcome to 100 Oddities for a Wizard's Library, third entry in Skirmisher Publishing's ever-expanding series of curiosities designed to fill the empty corners of your campaign worlds! Oddities may clutter a shelf or lie forgotten in a corner but are not defined by where they are so much as what they are and are unusual by their very nature. A dead rat in the basement of an abandoned building is not an oddity, but the same dead rat with its eyes sewn shut is. Oddities make you think about why they exist, how they ended up there, even what the hell they are, questions that are key to an engaging and invigorating roleplaying experience. Oddities are intended to aid GM creativity and turn possibly bland areas or gaming episodes into something more. The goal of this publication and the others in this series is to make things more fun and to take your imagination in directions it might not otherwise have gone.